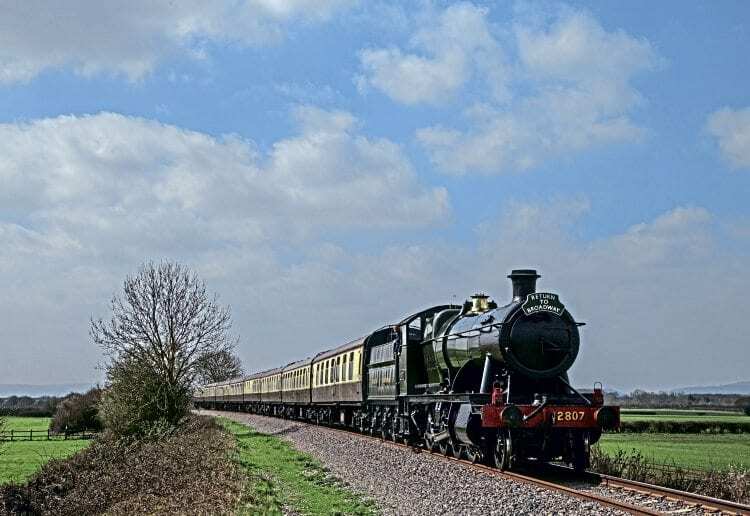 MORE than 6,000 passengers travelled over the Gloucestershire Warwickshire Steam Railway’s extension to Broadway over the Easter week as people flocked to be among the first to reach the village by rail in almost 60 years. The formal opening of the extension on Good Friday (March 30) was the precursor to a record-breaking few days, with in excess of 4,000 fare-paying passengers travelling between Good Friday and Easter Monday alone, in what can only be described as ‘dreadful’ weather conditions at times. a vintage bus service linked the station to the village centre. Appropriately, the motive power during the four days came from the railway’s Western Region stable, with ‘Modified Hall’ No. 7903 Foremarke Hall taking the strain on well-loaded eight-coach trains together with ‘Manor’ No. 7820 Dinmore Manor and ‘28XX’ 2-8-0 No. 2807.